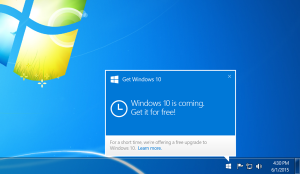 Looks like Microsoft is upgrading your computer to Windows 10 whether you want it or not. You go to bed and when you wake up, you’re rocking Win 10. But what if you’re not ready? That’s OK because you can roll back the upgrade. Just follow the instructions in this post form TechConnct.com.